The right choice for repairs is in your hands. 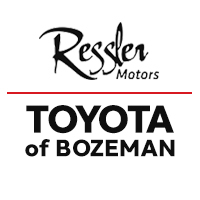 You have a choice when it comes to repairing your vehicles, which makes choosing a Toyota of Bozeman Certified Collision Center an easy decision. Our Toyota Certified Technicians are experts in the repair of Toyota vehicles, ensuring your vehicle will be repaired to Toyota factory specifications. And you’ll receive OEM replacement Genuine Toyota Parts, designed to meet defined quality, safety and appearance specifications that cannot be replicated on imitation parts. This helps maintain your warranty and protect your investment. It’s exactly what you need to get back on the road with confidence. It’s this standard of quality that sets us apart. Toyota Certified Technicians – Hands-on training using the latest collision repair & refinish technology. State-of-the-Art Tools & Equipment – Ensures that your vehicle is repaired to factory specifications. Genuine Toyota Parts – Helps maintain your warranty and protects your investment.